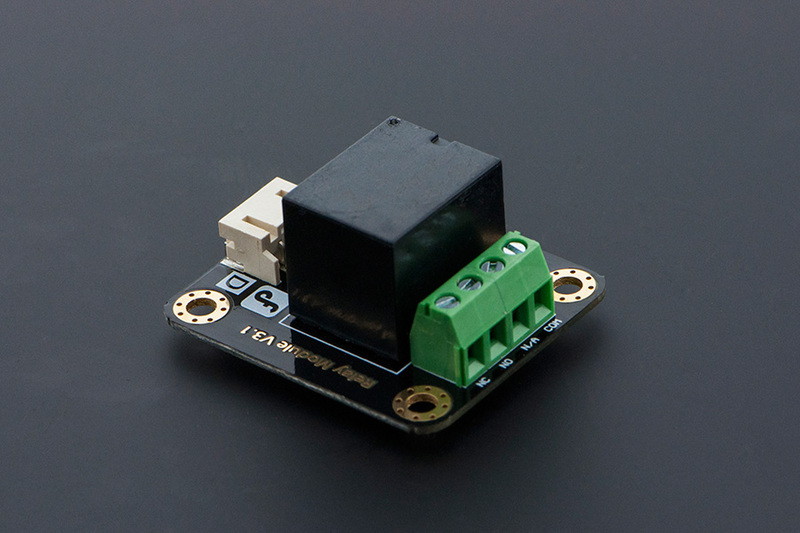 The DFRobot Single Relay blocks the number of electronic modules. It can be used in interactive projects. This relay shield uses Omron G5LA high-quality relay. It can also be used to control the lighting, electrical and other equipments. The modular design makes it easy to expand with the Arduino board (not included). The Relay output state by a light-emitting diode. It can be controlled through the digital IO port, such as solenoid valves, lamps, motors and other high current or high voltage devices. Every two seconds, LED will be turned on and off. 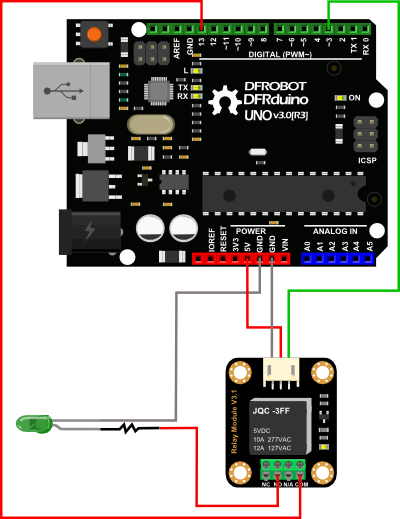 Get Relay Module Arduino Compatible SKU:DFR0017_ from DFRobot Store or DFRobot Distributor.